DJ Funk gonna hurt somebody! I first saw DJ Funk spin in 1994 and he's been making an impact on the underground dance scene every single minute since that time. No one is immune to the power of his ghetto house formula and it pops up in new and creative ways all the time. 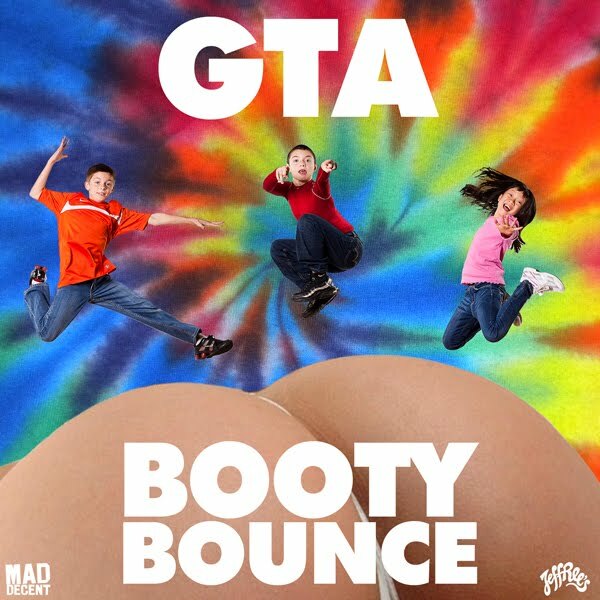 Mad Decent's blend of bass, breaks and tempo shifts seem a good fit for the DJ Funk sound and now thanks to GTA, Mad Decent/Jeffries has a monster of a release. The A Side "Booty Bounce" features DJ Funk and it gets the crowd moving just like the B Side "Shake Dem". Totally Free. Video Evidence Included After The Break. WHAT ARE YOU WAITING FOR? Get ready to bounce.